Rubios Lawn Care NW LLC. Is a family owned and operated business from Hillsboro, Or owner proud business owner since 2013. We value our customers and look forward to building relationship's with our clients we want to provide great quality services at a affordable prices. Gabriel Resendiz has worked years with another Landscaping company he has many years of experience. we decided to come together 2013 to start our own Lawn Care Maintenace Business. 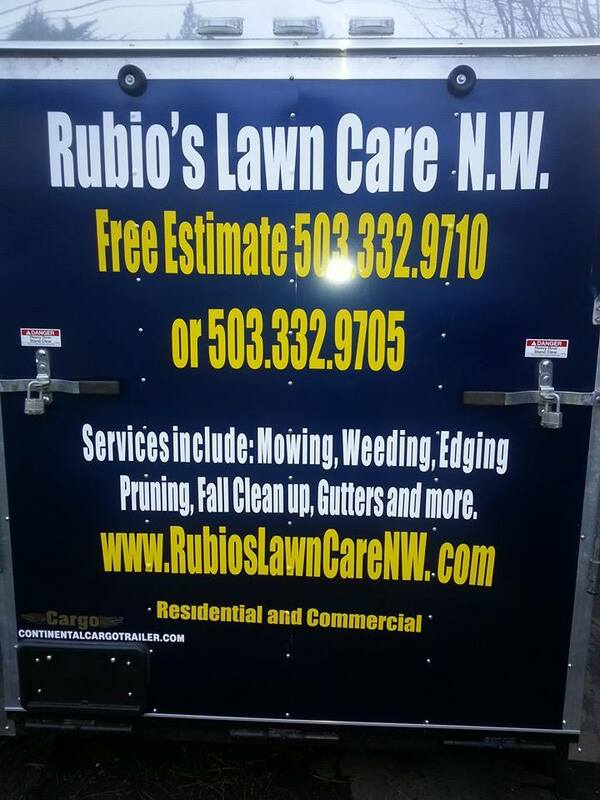 Rubio's Lawn Care NW LLC. servicing the Washington County and Surrounding Area's. We offer competitor prices which makes us affordable. We Do Full Lawn Care Maintenance Fall Clean ups as well as Gutters pressure and more. We have an amazing crew to services all your Lawn Care Maintenance needs in Hillsboro, Oregon and surrounding area's. We would love to work with you to improve your yard.